Join us on Sunday, September 24 at 1pm at the ball field by the pool at Truxten Park for the Swing for Recovery Softball Game. 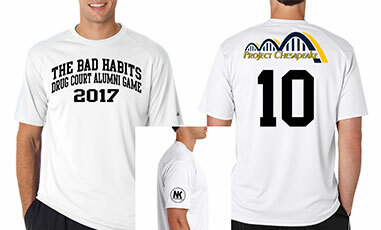 The Circuit Court Drug Court Alumni Association “The Bad Habits” vs The Anne Arundel County Sheriff’s Department. Special Appearances by: Ernie Graham & Mayor Mike Pantelides. The Alumni Association buys incentives and literature for clients in Drug Court, gifts and winter coats for less fortunate children for Christmas and meals for the homless.